Kunisada was the most prolific and successful designer of actor prints of the nineteenth century. He produced over 20,000 designs during his lifetime. 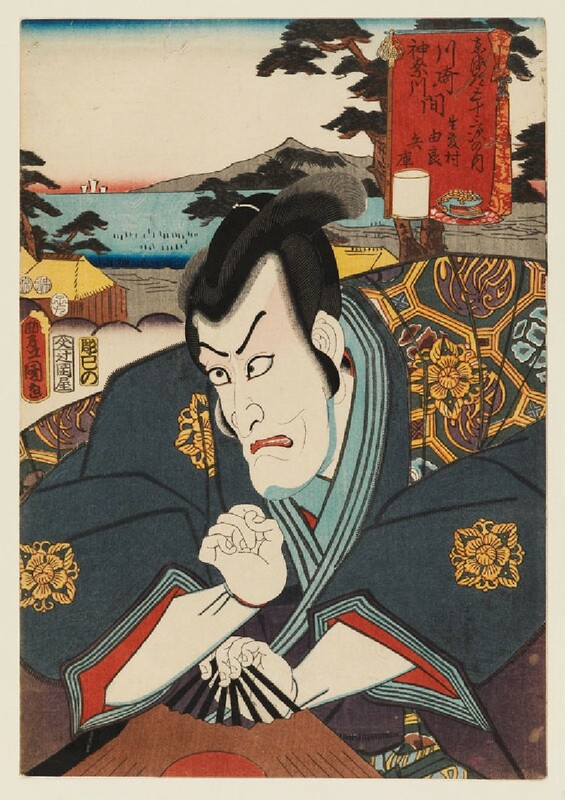 In this series of prints, Kunisada shows famous kabuki actors in front of landscapes related to the stations of the Tōkaidō Road, Japan’s major highway. Each of the kabuki roles depicted is connected in some way to the landscape, perhaps through the location of the play or through an allusion to a local legend within the play.